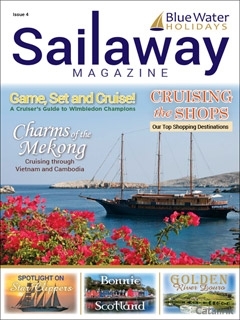 View the Sailaway Magazine 4 Online Brochure Now! Issue 4 features some of their customers’ perennial favourites including a review of a Mekong river cruise through the heart of Vietnam and Cambodia, a focus on Star Clippers tall ship cruises, and spotlights on Scotland and the sun-drenched River Douro. There is also a fun Wimbledon piece, a selection of the best shopping destinations to help you plan your next retail therapy trip, and a roundup of the best themed cruises.